Trolley Beam Fall Protection Systems are common indoor fall protection solutions for applications where total fall clearance is minimal, therefore minimizing fall distance and deflection is critical. 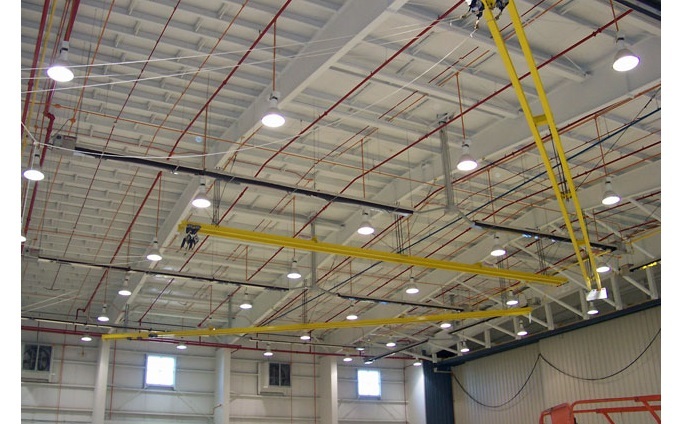 Trolley Beam Systems are attached to existing overhead structural steel, allow for excellent range of motion, and easily accommodate multiple users. After assessing your facility’s unique access points and fall hazards, our safety engineers can design, fabricate, and install a Trolley Beam Fall Arrest System that complies with all OSHA regulations.